Kai owns and operates her company, Curated x Kai, which creates virtual reality field trips for students. CxK believes inclusion & representation should be a priority and not an afterthought. 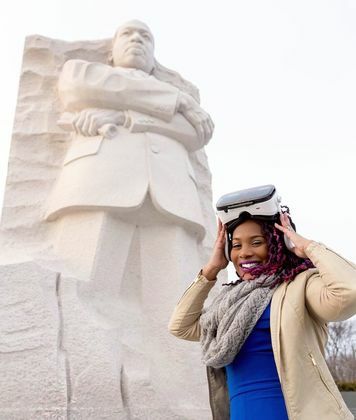 Through extensive outreach, Kai makes museums accessible for students by training schools across the country to use her museum based VR resources, as a digital learning tool. To further increase outreach efforts for communities of color,Kai consults with various museums discussing methods to eliminate common barriers for entry and how to increase diverse visitation— both in person & online.